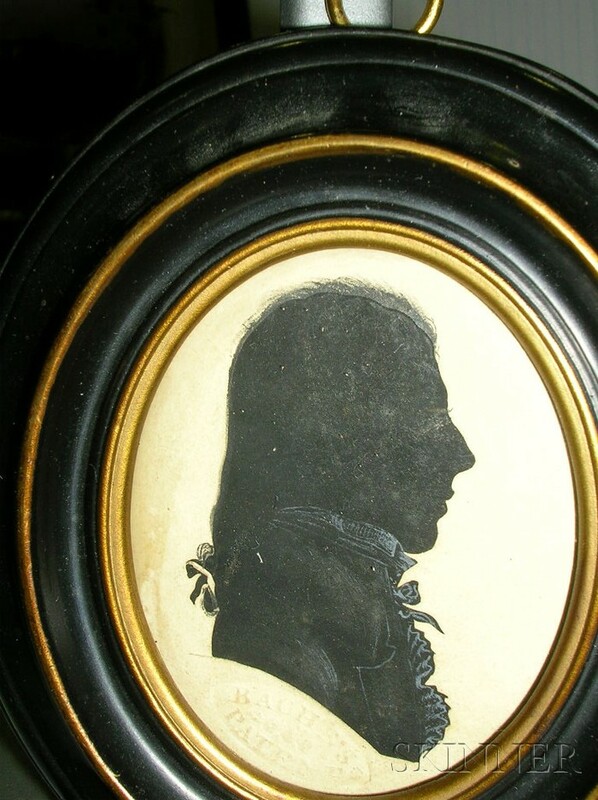 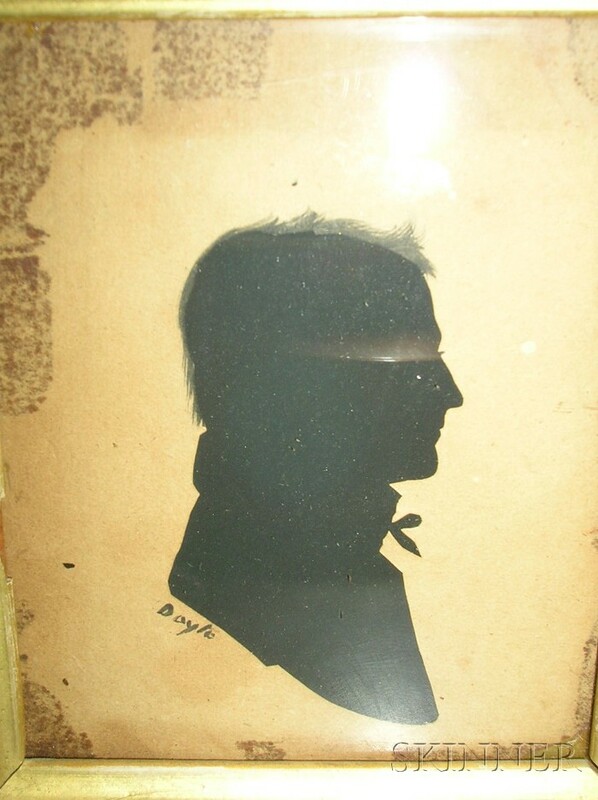 Six Framed Hollow-cut Silhouettes, America, late 18th/early 19th century, three of gentlemen: one by William Bache (1771-1845), with gouache and ink details, embossed "BACHE'S PATENT" mark under bust; one by Henry Williams (Boston, 1787-1830), enhanced with watercolor, embossed "WILLIAMS" under bust; one by William Doyle (Boston, 1769-1828), with ink details, signed "Doyle" l.l. 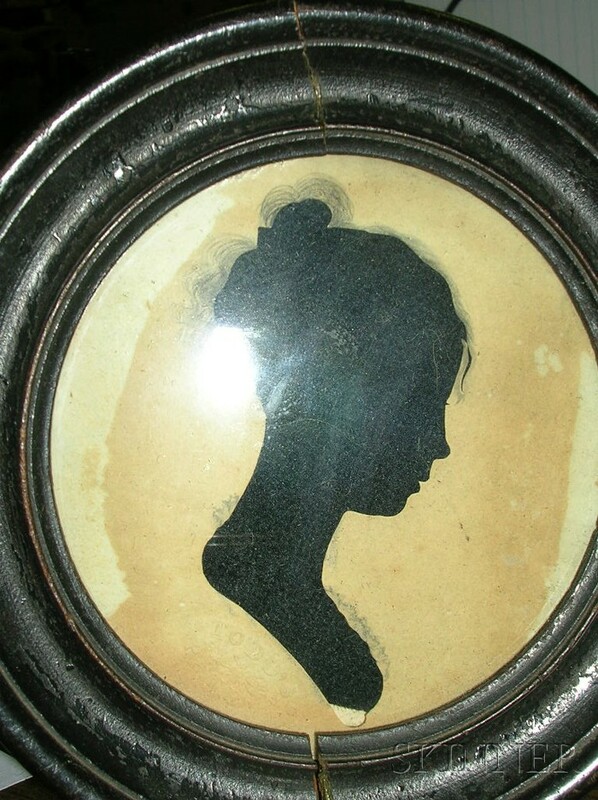 ; three silhouettes of ladies: one with ink details and embossed maker's mark for "T.P. 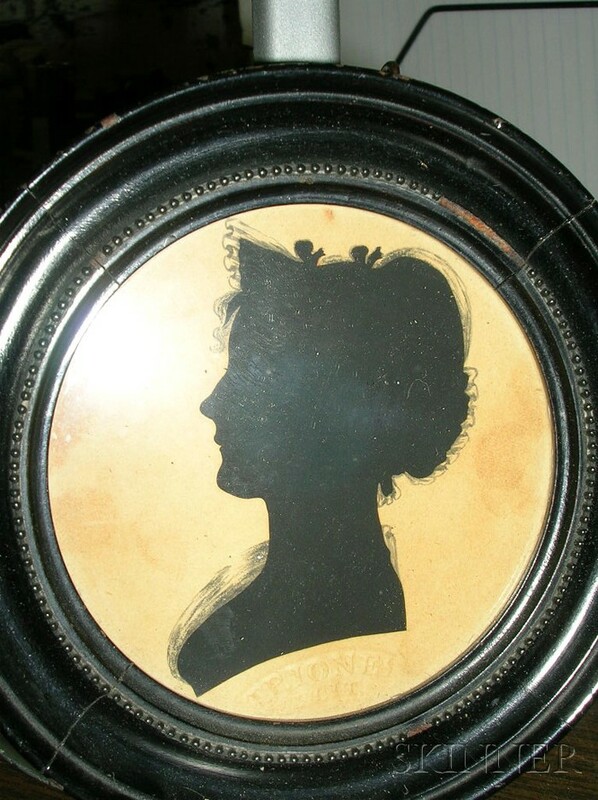 JONES PATENT" under bust; one by Isaac Todd (ac. 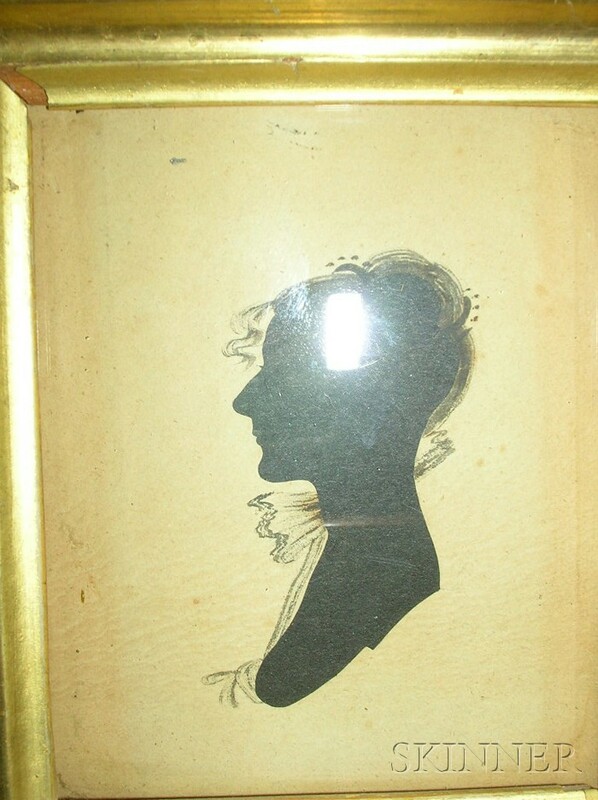 1807-1812), with ink embellishment, embossed "TODD'S PATENT" mark under the bust; the last of a young lady with ink details, (toning, stains), sight sizes ranging from 2 1/4 x 2 to 5 1/2 x 3 3/4 in. 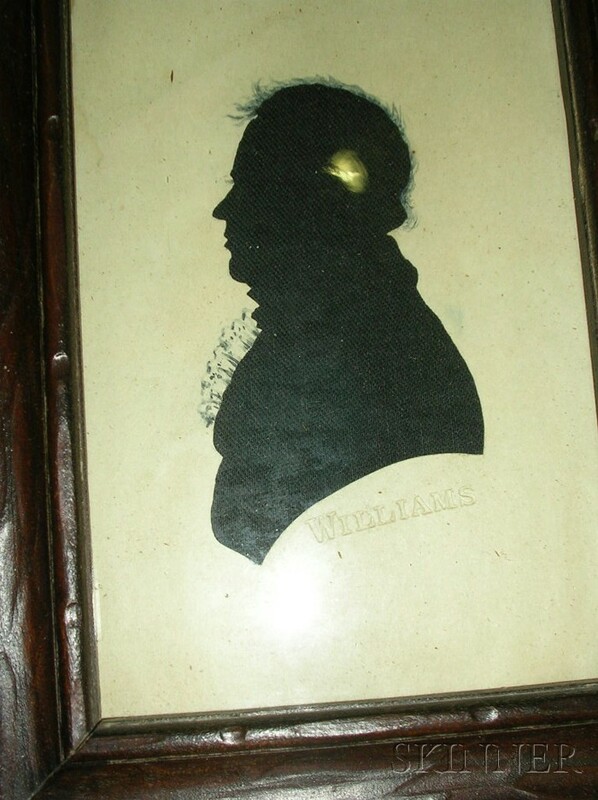 All have toning, Todds, Jones, and Doyle have acid stains around the busts, none of them have been laid down.